Dapper extensions for sdmap. 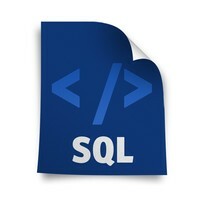 Note: FlySql has renamed to SMSOneSQL. This package will provide the interface on top of which CloudApper extension modules will be built on. Compiste web application development framework, application development infrastructure. SchuberFramework web libraries. Dapper integration nodes for EtlLib: A simple ETL framework for .NET. A fast repository lib like springdata to query by interface only . The Dapper SqlBuilder component, for building SQL queries dynamically. This is an alternate version, as the Dapper.SqlBuilder package is not maintained by StackExchange, and the publisher doesn't update it for almost an year. A high performance fully-async Micro-ORM for ADO.NET. Dapper for IdentityServer3 including Clinet, Scope and Token etc.